Today is the birthday of one of the most beautiful, thoughtful, gracious women that has ever walked the face of the earth, my precious Mom. How do I put into words what you mean to me? How blessed I am to still have you as a part of my life. I’m sad to say I have often taken for granted the ability to pick up the phone to hear your voice. This past couple of years, I have gained a deeper appreciation of just how priceless our time is together. I have recently watched two dear friends lose their mothers long before their time. Watching these daughters who were also young mothers brokenly saying their final goodbyes, my heart ached, and I was reminded of just how blessed I have been. 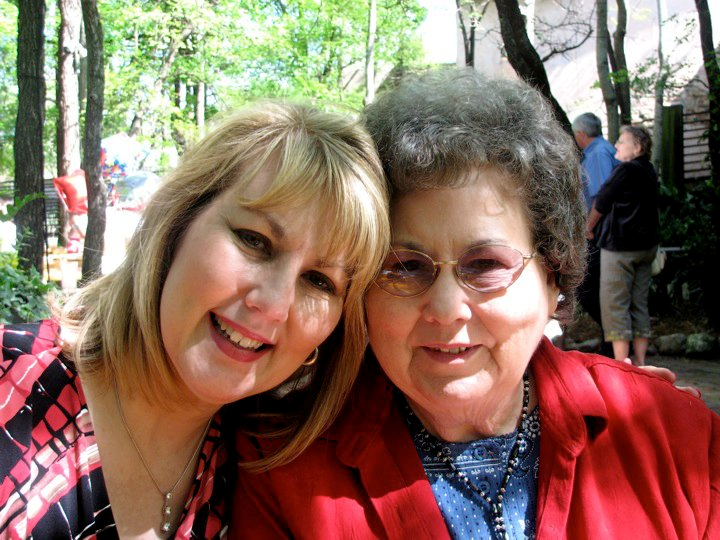 I am so grateful for the opportunityI have been given to share so much of my life with my Mom. You did this and so, so much more. The times you held me and listened to me cry after my world fell around my feet after my marriage came apart at the seams. The times you helped me while I was a single Mom raising three children alone, desperately wishing I could provide for them even a small portion of the love and security I felt as a child. Memories of the many prayers you prayed for us all. Memories of your love and memories of your encouragement that helped me to forgive and to move on to love again. I could go on forever citing countless ways that you have given of yourself to so many who have needed your kindness. You have allowed Christ’s love to shine through your loving, gentle personality that so illustrates your aptly given name…Grace. I am so proud to be your daughter, and I pray we have many years of laughter, love and memories ahead. I know this has been a tough year for you, but you have handled it all with such dignity and, of course, with grace. My wish for this birthday is that the toughest of days be filled with peace and joy, and that the good times far outnumber the bad. I also want you to know I am here for you, as you have been for me. I love you, Mom. You are a precious mother and friend. Happy Birthday!